Freeview viewers can now add a forthcoming new entertainment channel to their channel list, following the addition of a placeholder for A+E Networks' channel Blaze. 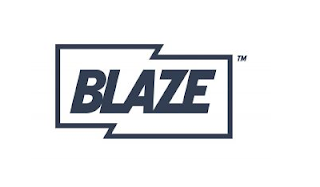 Ahead of the channel's launch on Tuesday 20th September 2016, Blaze has been added to Freeview channel 83 and a +1 channel on 84, also visible on YouView and EE TV receivers. The channel will also be available on Sky in both the UK and Republic of Ireland, but a channel number hasn't yet been announced. It will broadcast in standard definition. A+E Networks operates a number of pay TV channels in the UK, including Lifetime and History channel. The new free-to-air channel will offer some of the most popular shows from its channel portfolio, including Pawn Stars, Mountain Men and American Restoration. Programmes start at 3pm on the 20th September. A live stream of Blaze for computers, mobiles and tablets will also be available. There's been no indication that the channel will be carried on Virgin or Freesat at this stage. The status of the +1 channel on Freeview is also still unclear: Recent Freeview channel launches have seen +1 channels being added that are only available for a limited period, mostly during the early hours of the morning during which teleshopping is being broadcast, acting generally as placeholders for a possible future expansion and not for the benefit of viewers. A+E Networks joins Fox, Turner, CBS and Sony in launching high-profile free-to-air services on Freeview over the past couple of years.